When it comes to keeping organized, Sandia Office Supply has got you covered with labeling systems and products for every need. Browse our online catalog or contact one of our experienced representatives to find the best products for your labeling needs. All of our products are shipped with free, next-day delivery—with no minimum purchase. We find tremendous satisfaction in exceeding expectations and giving businesses efficient solutions in all of their office supply needs. Sandia Office Supply is so much more than your trusted office supply store in Albuquerque. We also carry a large selection of office furniture that comes with free space planning with any purchase. It’s all part of our commitment to providing the best possible service. Contact us to set up an account today. 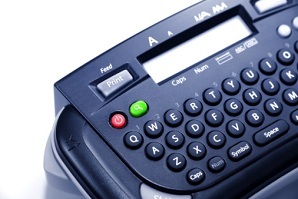 Call 505-341-4900 to order your labeling supplies from Sandia Office Supply of New Mexico today!